The sheer diversity of tropical flora is nothing less than astounding. 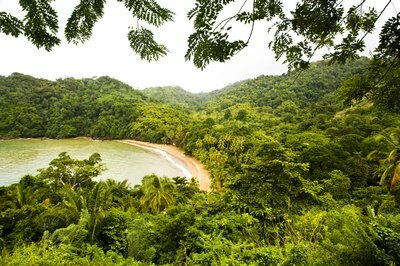 It is, in fact, estimated that as many as sixty percent of the world's plant species live in tropical rain forests alone. Therefore, it should come as no surprise that many ornamental plants are of tropical origin. 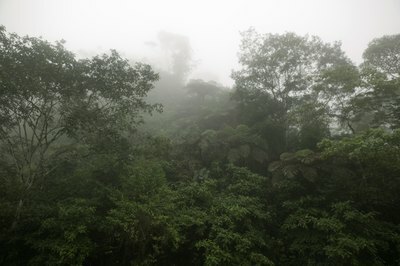 Many of these plants tolerate lower light conditions, having evolved under the forest canopy. Although tropical vegetation differs from region to region, there are some basic archetypes that hold true worldwide. Identifying tropical plants correctly can be quite challenging, particularly when the aim is to determine the exact species. Generally speaking, figuring out what family a plant belongs to is a far easier task. Fruit: Does the plant produce fruit? If so, what does it look, smell or taste like? Flowers: Botanists and amateur plant enthusiasts often use flower structure to identify different species of plants. If the plant is in bloom, the flowers should be examined closely. Leaves: Examining leaves is one of the best ways to identify plants. Some things to look for are leaf placement and arrangement, shape, margins, venation, odor, smell and taste. It is also important to consider whether the leaves are simple (growing separately) or compound (divided into segments or leaflets). Bark: While scientists tend to use other methods, foresters often look at the bark of a tree in order to determine its species. Some plant families, such as Myrtaceae (the Myrtle family), have very distinctive bark. Branches: Are there many branches or just a few? How are they arranged? Are they straight or twisted? Do they grow at many different intervals or is there a specific growth pattern? Habitat: Although tropical plants are native to tropical regions, they can appear in any number of habitats. Does the plant grow at a high altitude or does it only do well at sea level? How much water does it require? If you are examining the plant in its natural environment, you should ask yourself where you are. Is the habitat a rain forest, a mangrove swamp, a dry forest or some other environment? Sap: The color and consistency of a plant's sap can tell you a lot about it. Some plants have milky white latex while others produce clear resin or colored sap. There are too many different types of tropical plants to discuss in a short article. Nevertheless, in order to properly identify a plant, it is important to know what category it belongs to. The following sections contain brief descriptions of some major types of tropical flora. 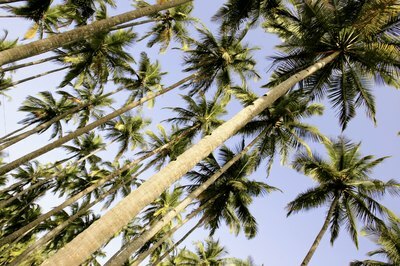 Palms: While some palms can grow to be extremely tall, many species are quite small. They are very common inhabitants of tropical forests and are usually found at ground level. Palms have leaves that make them easy to recognize. Ferns: Tropical ferns are easy to identify based on the shapes of their leaves, the undersides of which are typically adorned with spore capsules. 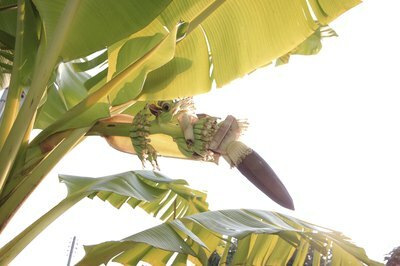 Other species: There is an enormous diversity of other small and medium-sized tropical plants. Many of these have attractive flowers or leaves. Unlike in the northern hemisphere, conifers are rare in the tropics, and most species of tropical trees produce flowers of some sort. The trees can range in size from only a few feet (shrubs) to a hundred feet or more in height. While some are easy to recognize, based on their flowers, fruit, growth pattern, bark or leaf characteristics, many species can be quite difficult to identify and may require special attention or the help of an expert. 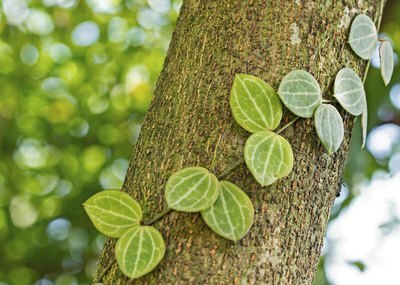 Creepers are slender vine-like plants that climb their way up the side of trees, shrubs and bushes . They tend to have elongated leaves, called tendrils, which they use for grabbing and climbing. Vines and lianas are thicker, and tend to be either rubbery or woody. Epyphites, which are also called air plants, use other plants for support and often grow on the branches or trunks of tropical trees. Many species of orchids and bromeliads (pineapple relatives) are epiphytic. Hemiepyphytes, also called stranglers, start their life cycle as harmless epiphytes but gradually wrap around their host, eventually killing it by cutting off its access to light and absorbing the available nutrients. Although they are often confused with parasites, neither epiphytes nor hemiepiphytes are parasitic, since they don't actually feed off other plants. 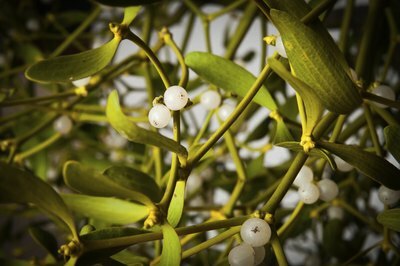 True parasites, or mistletoes as they are often called, leech their nutrients from a host plant. 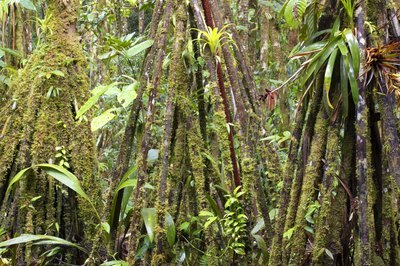 While epiphytes are more common, many species of parasitic plants do live in the tropics. When Do Orchids Need to Be Repotted?